The American National Standard for remanufacturing was developed by the Remanufacturing Industries Council in collaboration with a diverse consensus body. The standard defines and provides a benchmark for the process of remanufacturing, and establishes specifications that characterize the remanufacturing process and differentiate remanufacturing from other practices. RIC is an Accredited Standards Developer with the American National Standards Institute (ANSI). 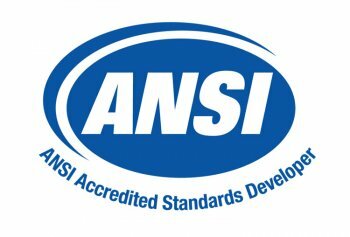 After several years of development, ANSI approved RIC’s American National Standard, Specifications for the Process of Remanufacturing, on February 2, 2017. The standard was developed to promote a common understanding of remanufacturing and credibility for the remanufacturing industry. The specifications in this standard will promote continual improvement in the remanufacturing process and help ensure that the products provided to customers by the remanufacturing industry are dependable and of a consistently high quality. RIC has submitted a proposal to create an international remanufacturing standard, proposing the ANSI Standard as the draft international standard. Follow status updates about the international proposal here.